Everybody fears rejection. 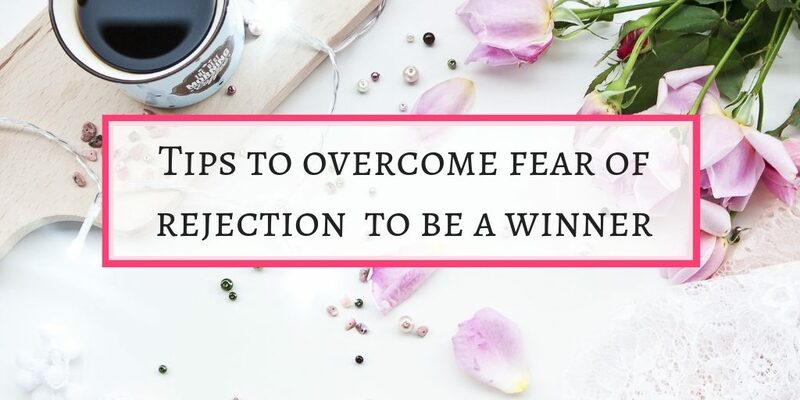 And it is true that you have to overcome this fear & be a winner in life. Rejection in any form hurts. Some people are good at coping with rejection. But most of the time, it is a tough situation. 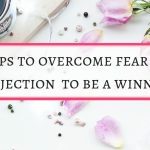 Rejection and fear lowers self confidence.Which is a prerequisite for success in any area of life. Fear of rejection is ingrained in our brains. It comes from the way we use to live in ancient times. Humans use to live in herds in tribes. If somebody was excluded from that tribe, it was difficult to survive in those times. Our brains are programmed that way. We have same fear of rejection even today. The origin for fear of rejection is emotions. If you pay attention to what happens when you are in situation like this, you will understand that it is an emotion. You are feeling the emotion. 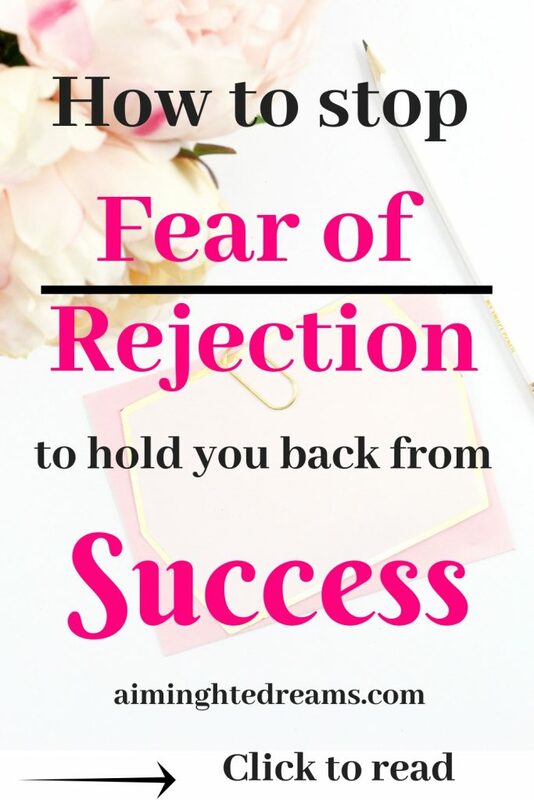 What if you will get rejected ? Or if you are rejected for something, then you will think what others will think about you. These are the emotions. And controlling the emotions become hard. This is life. 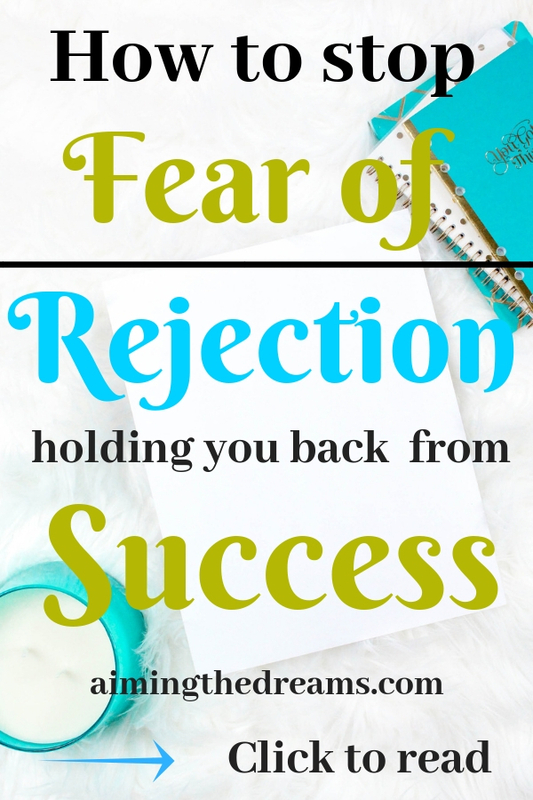 You are not the only person who has to deal with rejection. Everybody face rejection at some point of time. But not everybody gets into the loop of fear. A confident person may get upset for some time. But eventually will rise out of the rejection. Whenever you feel like you are getting into the cycle of this kind of fear, try to change your thoughts. Say if you want to go to an interview and don’t want to loose. Don’t think too much about the rejection. Be kind to yourself and think about the best scenario. Always thinking about the rejection, brings rejection. I am the biggest example of this. I have been rejected in so many interviews for job that I started thinking too much about rejection. It gave me a kind of unpleasant feeling and unhappiness. Then I started changing the pattern of my thoughts. With this change, my mind became more clear and I restored my confidence in my abilities. If you can do it your self, do it on your own. But if you need some external help, please don’t hesitate. Subconscious mind is very powerful. If you feed thoughts of rejection, you will always find yourself in that situation. If you are working in a group, and you feel like this particular group can reject you. You will start behaving in a way that you will find your self in such situations. If you want to change that, change the feed which you are putting into your subconscious. Visualizing is a great tool. And nobody knows what you are visualizing. Instead of thinking about thoughts of rejection, create the pictures of yourself winning. Believe me, there is nothing more powerful than visualizing the positive outcome. Call it law of attraction or anything else. But it really helps. There are no boundaries on visualization. It is the best thing for your life, and for your mind. If you have some doubts, just sit and close your eyes. Start picturing all those things you want. If somebody rejects you, it doesn’t means that you are worthless. It is the problem with them not you. For example , If you go for an interview and gets rejected. This is nothing to do with you. This is all about the skill set for that particular job. You may not be a fit for this job but you are definitely qualified for something else. Whenever you feel rejected, always introspect. I myself have got rejected in interviews so many times. But you know what, what I am doing today is much more than a job. It is fulfilling, satisfying and give peace of mind. This is what I always wanted to do. You need to teach your mind that your future is not what you are predicting. Say if you are thinking that you will get rejected in a relation ship. This is not always true. You may get rejected but why to predict it that way. For everything there are always two chances. Either a yes or a no. Why to concentrate on NO when you have equal probability of a YES. You may be thinking of a no only. Which could bring a no. But why to concentrate on that. Always find a way to alter your thoughts so that you can concentrate on better outcomes. I know it is difficult to have confidence when you start feeling your self worthless. Most of the time thoughts of rejection paralyze our thinking process. Try to replace your thoughts with thoughts of confidence in your abilities. I know different situations have different kind of repercussions. You cannot act in a similar way in every situation. Confidence means to face the rejection, learn from it and move on. Keeping rejection in mind and weaving thoughts around it will make you totally negative. Try to move out of it as soon as possible. Every human being is given some set of abilities. Pay attention to enhance those abilities and don’t see any shortcomings as curse. Everything on this earth is manageable including the fear of rejection. These are all my own thoughts and I have tried myself on me. This is to give hope to anybody who fears rejection and feels low confidence. Believe me , you will come out of this if you work on yourself. My best wishes are with you. Please share if you like this post. I will appreciate that and be very thankful.